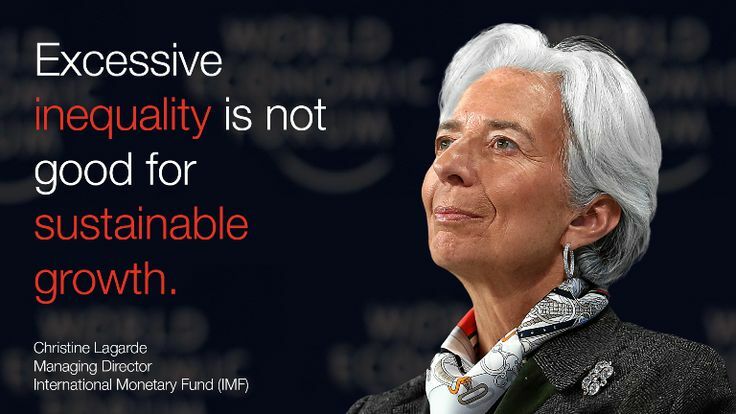 The IMF’s recent research on inequality has attracted a lot of (mostly favorable) attention. My talk to CSOs today describes the main findings of this research. Focusing on within-country inequality, I classify the work into three categories: causes, consequences, cures. On causes, the main finding is that—in addition to broad trends like trade, technology and demographics—inequality is driven by economic policies. This is not an earth-shattering finding but it is an important one. The policies that turn out to drive inequality include fiscal policies, capital account liberalization (i.e. policies to foster mobility of capital across national boundaries) and labor market policies. Many of these are ‘bread-and-butter’ issues for the IMF, ones on which it routinely gives advice to its member countries. On consequences, there has been a novel research finding: inequality lowers the durability of growth spells. This result also puts inequality squarely with the remit of the IMF’s work: fostering sustained growth, a goal of IMF advice, requires some attention to inequality. As it should, the work on cures follows from what has been learnt about the causes and consequences. To take an example: if fiscal policies are a cause of inequality, the IMF’s advice on the design of these polices needs to account for this fact. This is both because the distributional consequences may be important in their own right to some governments and because—as noted—they can have an adverse effect on the sustainability of growth. One new research finding, which has implications for the design of many policies, is that redistribution, unless extreme, does not have an adverse impact on growth; hence redistribution need not be feared as a cure. Details and links to the underlying papers are given in this PPT.